Harvest peppers green when they have grown to a good size or wait for them to ripen to yellow or red if preferred. 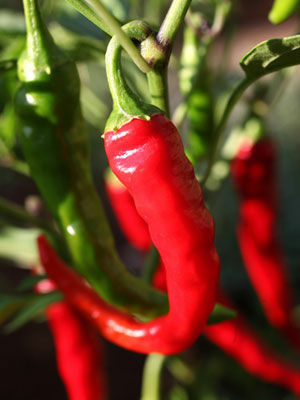 Chilli peppers will get hotter when left and can be dried out in the sun before storing. Hot weather increases hot compounds in chillis, so those grown in cool climates may lack heat.